Chore Pad is changing the way families get their chores done across the world! Let your kids take an active role in maintaining their home, show them what they can earn along the way, and watch them shine! Delightful, effective and award-winning. Built for kids of all ages and families of all sizes! Get started now - those dishes aren’t going to clean themselves! 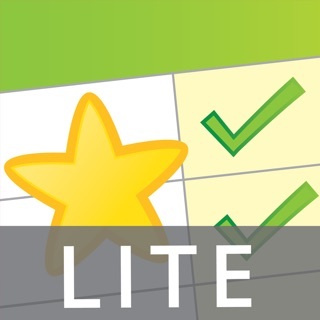 - Consistently rated 4.5+ stars on the App Store for over five years! Chore Pad 5 is our five year anniversary celebration! 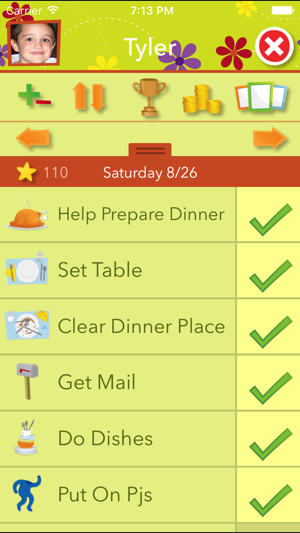 Enjoy new chore icons, delightful new animations and sounds, beautiful new themes and more! 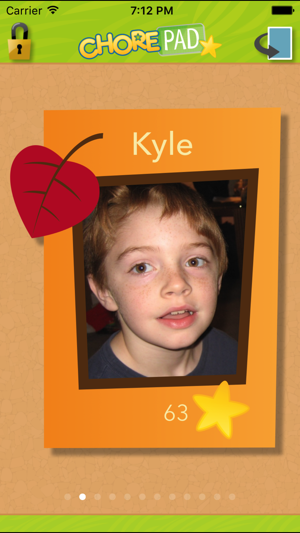 See all your kids at a glance on the start screen along with their star totals and progress for the week. Chore Pad works equally well with small families, large families, and entire classrooms of kids! 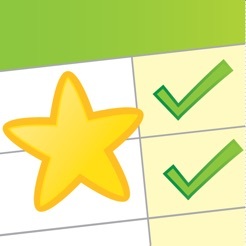 Your child earns stars as chores are completed, and uses those stars to redeem rewards that you've created. Watch proudly as your child leaps out of bed to clean the room in the morning (it happens!) and learns to save up their stars for long-term goals! Keep your kids engaged with delightful animations and sounds when they open their chart, complete chores or earn rewards! 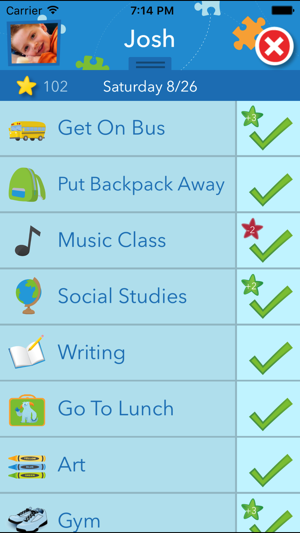 Every child can make their chart their own with a wide range of themes and custom chore icons. Parent Mode keeps Chore Pad kid-friendly by tucking the important setup features safely away. 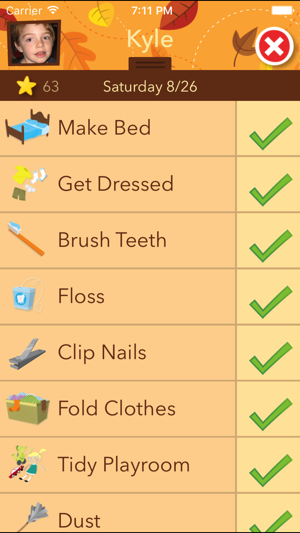 Passcode protect Parent Mode to prevent unwanted changes, or enable passcode protection for features in the Chore Chart! Create template chores that can be copied to any number of children and customized individually for each. Specify a wide range of repeat intervals, star values and select from over 100 chore icons or use images you provide! 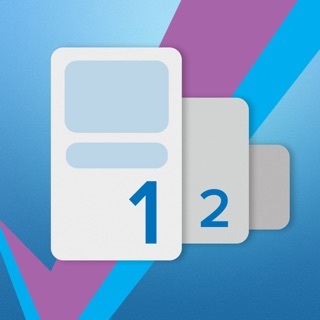 Use a free Dropbox account to sync your data between all of your Chore Pad installations. Syncing happens automatically whenever you open or close Chore Pad, so keeping up to date with changes is effortless. - No personal information collected! We're here to help! Please don't hesitate to contact us with any questions, comments or suggestions. We've made updates to support the Dropbox v2 API, which Chore Pad uses for syncing. This update is required for continued use of syncing functionality. Thanks for your feedback, and please continue to send your comments to support@nannek.com. So I work at a behavior school and we use a token economy system...that gave me the idea to use this chart at home with my sons. They all work for (stars) quarters, and when we go to the store, they are required to use their own money for anything they WANT in the store. I only buy what they need and what I want to buy for them. Believe it or not, they "get it" at 5, 6 and 9. This works extremely well when I follow through. They like getting their allowance and they love being able to go in the stores and interact with the cashier. Other people in the store always comment about how great it is they they are learning responsibility and the value of money at such an early age. I have boys that will grow to be men one day, and I want them to form good habits, learn responsibility, and be financially savvy adults. This app is great, and I have no complaints that I can think of at this time. I recommend it to friends and other parents all of the time. It is worth every penny of the $4.99...if for no other reason that getting my kids to do chores are A LOT less frustrating. We used to own a magnet chore responsibility chart, but the magnets would fall and it was tedious to keep up with. Then we fell off the responsibility chart until we found this app. The app is easy to use, and very customizable to suit you. 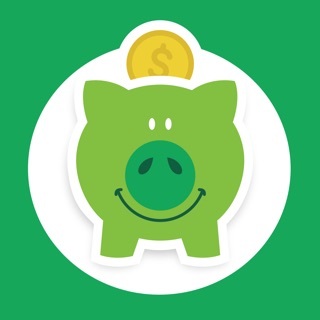 It definitely a must have for kids to understand responsibility and savings. The things I wish it had was setting up certain days for each chore as weekly or every other week is the option. Also more fun chore icons could be nice. Also you cannot refund the stars after payout. But you can easily just add stars as needed to repay in different way. All in all I highly recommend this app. 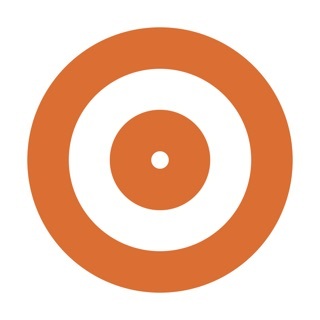 First tried this app when the kids were four and six and it didn't work so well. Sticker charts with immediate tangible rewards worked better then. But now the kids are eleven, nine, and five, and it's working great as a summer chore chart. They're old enough to appreciate the value of saving up for the rewards they really want. And I finally have help with the mess! I wish they would add and an icon library or a way to access emoticons for the rewards chart. And I wish they would add badges, like Fitbit offers. I use this chart for myself to keep track of my chores as well. It would be fun to get a badge for competent adulting!